The only way the young Verdun McDonald knew anything about his father was through his mother's stories, one of which involved a missing gold signet ring that was somehow not returned with the dead airman's personal effects. The signet ring has now been found. 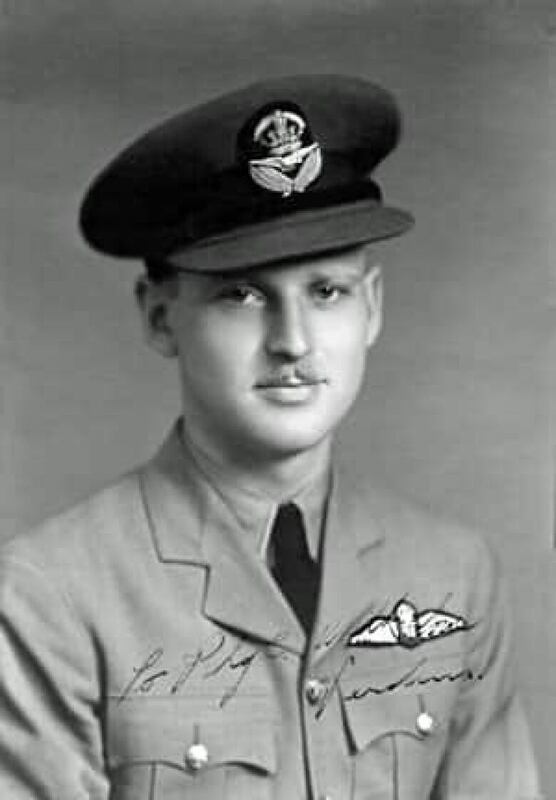 Flight Lt. Verdun McDonald, from Alberta, was just 27 when he was killed in 1943 during a training mission over England. His son, Verdun Jr., was born 10 weeks later. "My father was lost before I was born and that's been a part of my life all my life," Verdun Jr. told the CBC at a special wreath-laying ceremony earlier this week at Chester cemetery, near Liverpool, one of the largest Commonwealth cemeteries in the U.K.
RCAF Flight Lt. Verdun McDonald, who died, age 27, in a training accident over the skies of England in 1943. The inscription is to his wife Phyllis. The only way the young McDonald knew anything about his father was through his mother's stories, one of which involved a missing gold signet ring that was somehow not returned with the dead airman's personal effects. The signet ring has now been found. A few months back a U.K. pensioner was browsing eBay when he came across the ring and decided to look further into the inscription on the inside. That curiosity led him to Verdun McDonald Jr., a retired Toronto policeman, and helped a family gain closure on an event that changed their lives. The ring is now back with Verdun Jr.'s mother, Phyllis Smyth, and its return sparked the son to make the pilgrimage this year to Chester, where he laid the Remembrance wreath on behalf of Canada's war families. McDonald spoke to the CBC's Carolyn Dunn about his dad and what it was like to grow up in the shadow of someone who had sacrificed his life for his country.